Jungpil Hahn is an Associate Professor and Head of the Department of Information Systems and Analytics at the School of Computing at the National University of Singapore (NUS). Prior to joining NUS, he was an Assistant Professor of Management at the Krannert School of Management at Purdue University in West Lafayette (IN) and a Visiting Assistant Professor of Information Systems at the Tepper School of Business at Carnegie Mellon University in Pittsburgh (PA). 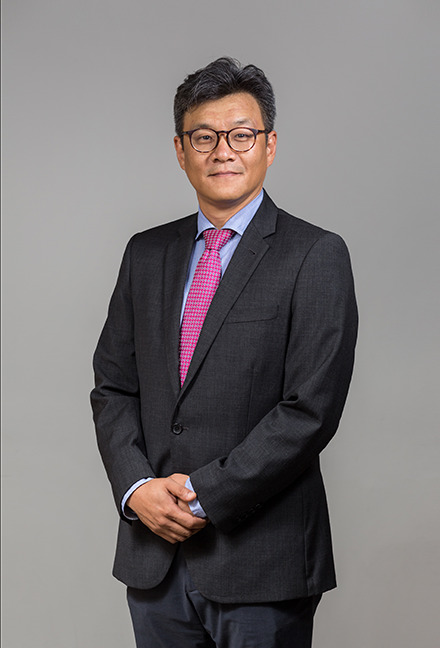 He has a Bachelor's and Master's degree in Business Administration from Yonsei University in Seoul Korea and he earned his Ph.D. in Information and Decision Sciences from the Carlson School of Management at The University of Minnesota. Professor Hahn's research focuses on open innovation, organizational learning and knowledge management, software development processes, software project management and human-computer interaction. His research has been published in Management Science, Information Systems Research, Organization Science, Journal of Management Information Systems, Information Systems Frontiers, International Journal of Business and Globalization, Theoretical Issues in Ergonomic Science, the ACM Transactions on Human-Computer Interaction and the Korean Management Science Review as well as in proceedings of major conferences such as the International Conference on Information Systems, the Annual Workshop on HCI Research in MIS, the International Conference on Electronic Commerce, the International Conference on Open Source Systems, the Hawaii International Conference on System Sciences and the ACM Conference on Human Factors in Computing Systems. His research has also been presented at major conferences such as the INFORMS Annual Meeting, the INFORMS Conference on Information Systems and Technology, the Annual Meeting of the Academy of Management, the Association of Consumer Research Pre-Conference on Consumer Behavior Online, the Workshop on Information Systems and Economics, the Workshop on Information Technology and Systems and the Annual Meeting of the Productions and Operations Management Society. Professor Hahn has also contributed essays to multiple edited volumes including Economics, Information Systems and Electronic Commerce: Empirical Advances (R. J. Kauffman and P. P. Tallon, eds. ), IT-enabled Strategic Management: Increasing Returns for the Organization (B. A. Walters and A. Tang, eds.) and E-Business Management: Integration of Web Technologies with Business Models (M. Shaw, ed.). Professor Hahn is has received numerous awards and accolades for his research, teaching and service. He is a recipient of the "Best Paper Award" from the Korean Operations Research and Management Science Society in 1995, the "Best Paper Award" at the Workshop on Information Technology and Systems (WITS) in 2016, and the "Best 2013 Published Paper Award" from the Organizational Communication and Information Systems (OCIS) Division of the Academy of Management. He was nominated for the "Best Paper Award" at the International Conference on Electronic Commerce in 2007 and for the "Best Division Paper Award" at the Academy of Management in 2011 (Organization and Management Theory Division) and 2017 (Entrepreneurship Division) . Professor Hahn was named "Krannert Distinguished Teacher" numerous times in the MBA program at the Krannert Graduate School of Management and received the Faculty Teaching Excellence Award (FTEA) at NUS School of Computing in 2014. Professor Hahn's service to the academic community was also recognized by being named "Outstanding Reviewer" for IEEE Internet Computing in 2002 and was awarded the "Best Reviewer Award" in 2009 by the INFORMS Information Systems Society for his outstanding service for Information Systems Research. Kang, K., Hahn, J. and De, P. (2017) "Learning Effects of Domain, Technology, and Customer Knowledge in Information Systems Development: An Empirical Study," Information Systems Research, 28(4), pp. 797-811. DOI:10.1287/isre.2017.0713. Best Paper Award, Workshop on Information Technology and Systems (WITS), 2016.